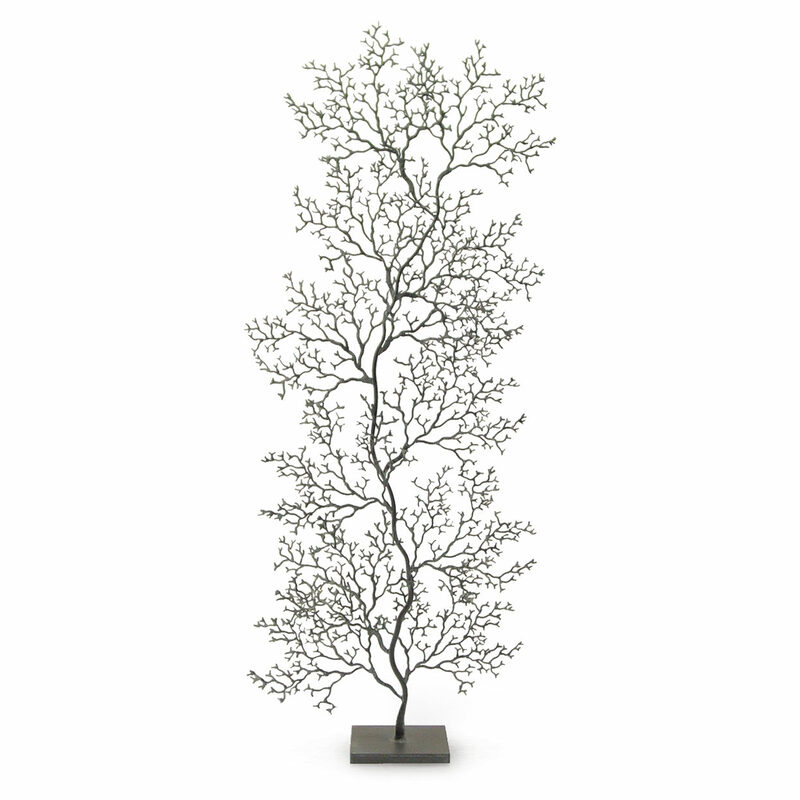 Hand-forged metal strips in matte grey finish bent and welded to simulate fan coral. Edges are hand-sanded for soft finish. Suitable for outdoor use.